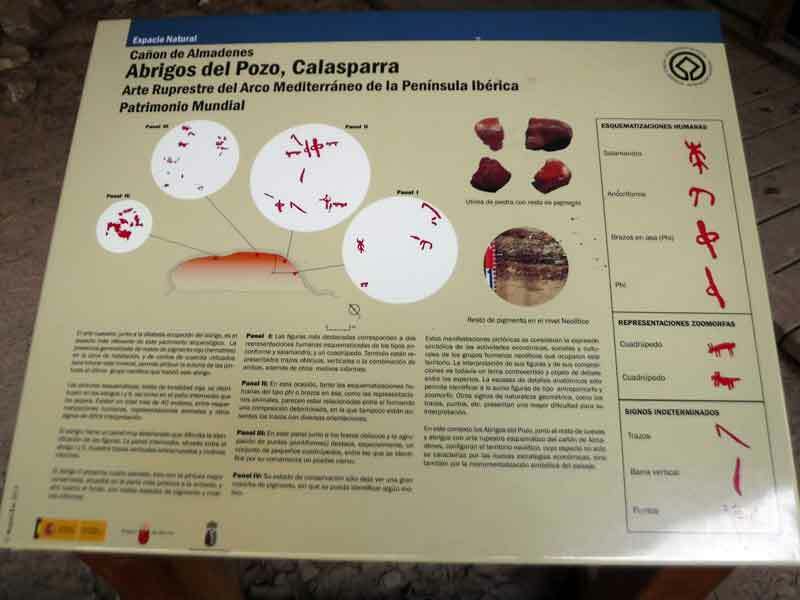 The most beautiful section of the Region as it runs through one of the most beautiful places in Murcia, the Natural Protected Area of “El Cañón de Almadenes”, a space proposed as a place of Community Importance. 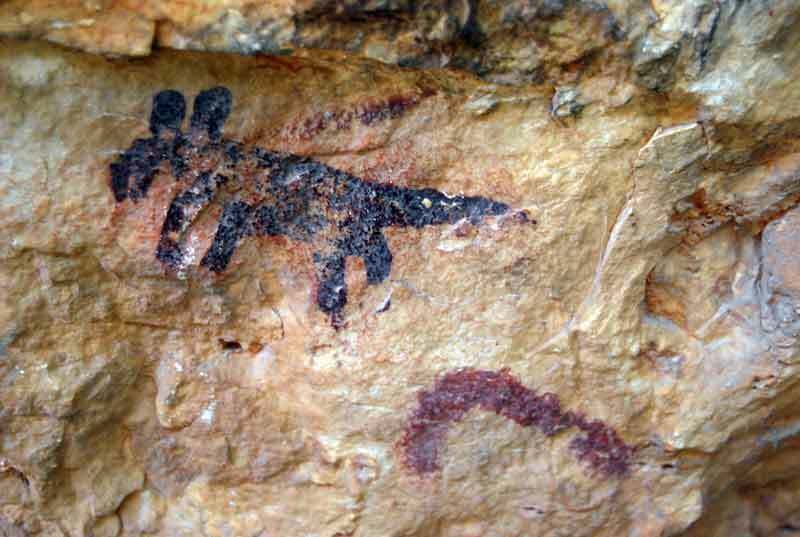 Our interpretive guides will make this activity a unique experience where you will know firsthand the best preserved Galery Forest of the Region with its 150 recognized species of flora and fauna, making a special mention to the visit of the Cave of the Monigotes with Cave Paintings UNESCO Heritage. Here our guides will put you in contex and explain the different representations in detail, we will pass through the Teacher place and finish at the La Mulata Dam. Descent "El Cenajo", 10 km of crossing located between the Cenajo Reservoir and the Bayo Dam, passing through the Salmerón and the Mines. This is the most frenetic and exclusive descent we have in the Region of Murcia with different dams, rapids, sharp curves, etc. Also outstanding in terms of diversity of fauna, flora with immense weeping willows, history, and crystal clear waters, all surrounded by an incredible landscape. We are the only company that offer this stretch ... Do you dare? At the beginning we will find our first intermediate level dam where we will stop to play a little and you will have a first contact for the three dams that we will have to cross later on, all of them at different levels to end up going through the largest natural dam that we descend in all our stretches. 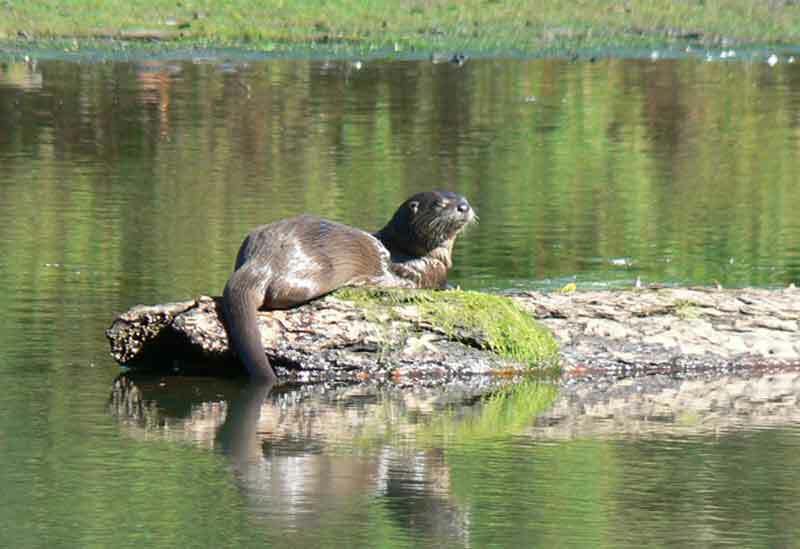 The diversity of flora and fauna is spectacular, where we can find otters, wild boars crossing the river, mountain goats, eagles, turtles, genets etc. This is undoubtedly a landscape with a unique beauty and great value from the aesthetic point of view, all this coupled with the adrenaline that the intensity of this strech generates makes this stretch is the most complete we have in the Region. Adrenaline, fun and wild nature. From Cañón y Cañón Multiaventura we recommend that before choosing to do rafting you ensure that the company has qualified monitors in rafting and first aid training at least, approved and quality materials and boats with identification plates that have passed the corresponding quality controls. 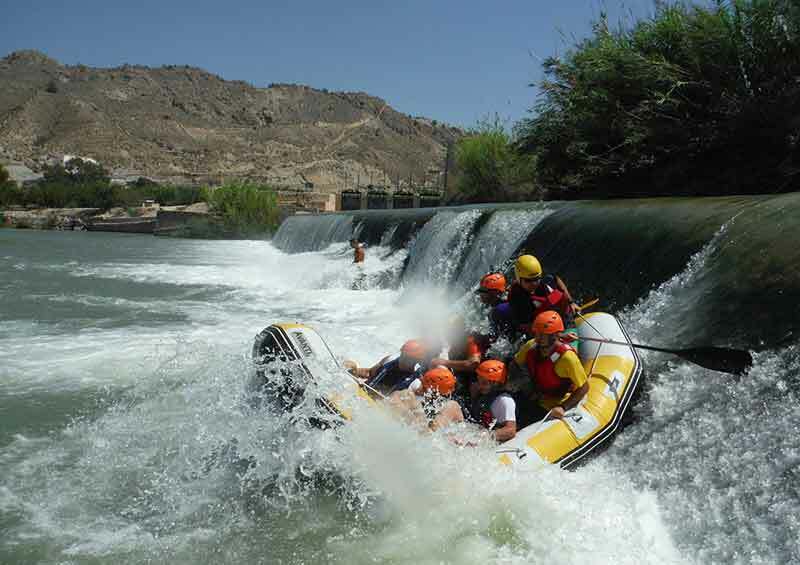 Do your rafting with the best guarantee. 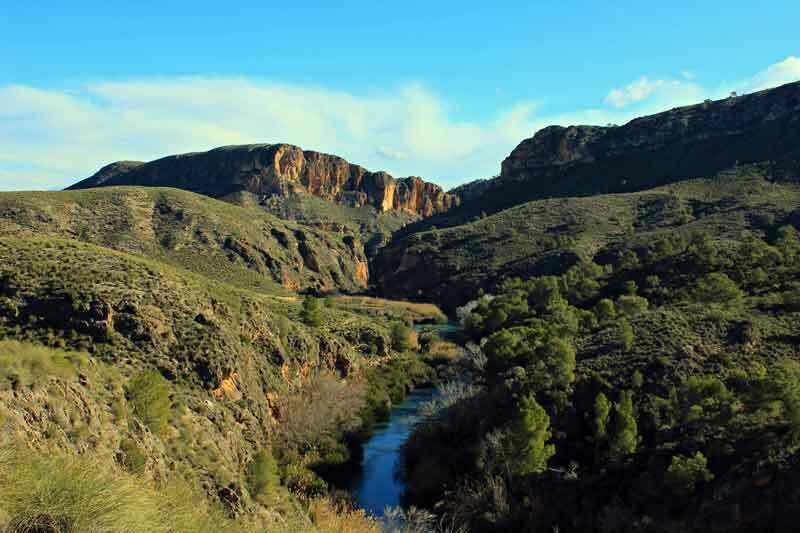 Section of the Segura River located between Cieza and Abarán, crossing of 10 kms, passing through the Menjú place, the Watherwheels Park , the Ricote Valley. Intermediate level section and very fun, mainly for having two dams, a rapids area, bathing areas, water slide and waterfalls, suitable for all ages from six years. The diversity of flora, fauna, and water is not comparable to the beauty of the other sections, but it is ideal for those who want to live a day of action and adventure. We will cross these two dams on the boat, the largest of them is optional for the most daring, at all times accompanied by a qualified guide. 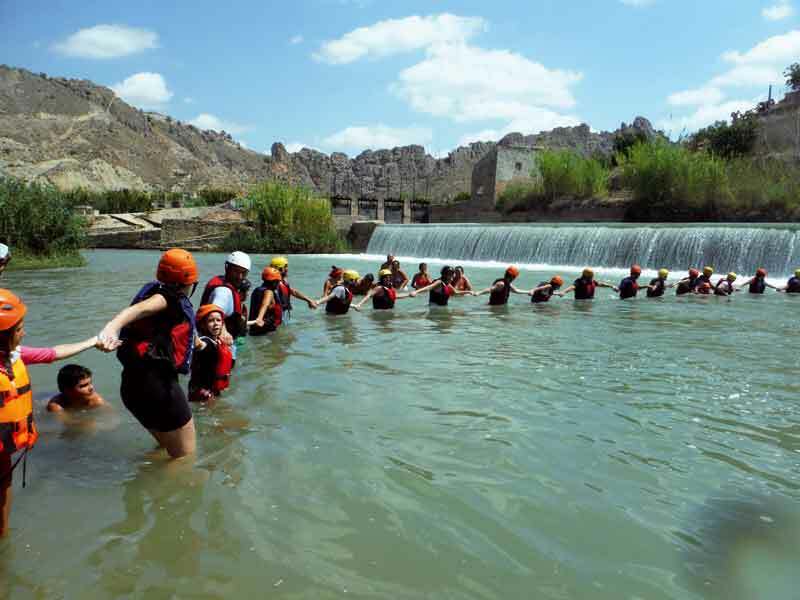 Between both of the dams we will enjoy a relaxing bath in the areas enabled for it, we will pass a very fun area of rapids where we will avoid different obstacles, stop at Abarán Park, where we will take lunch or snack to gather strength before proceeding to our last point . In addition our monitors will give you a theoretical-practical talk before the start of the activity so that you have clear at all times how is the handling of the boat. During the trip, we will make different games under the instructions of the guides, such as the horses, to capsize and recover the boat, assault on other boats, water battles, etc. From Peñarubia to Gallego (Elche de la Sierra). Rafting. Section of the Segura River basing to Castilla la Mancha within the Segura River, located between Peñarubia and the Gallego bridge, crossing 27 kms. Its approximate total duration is 7 hrs. 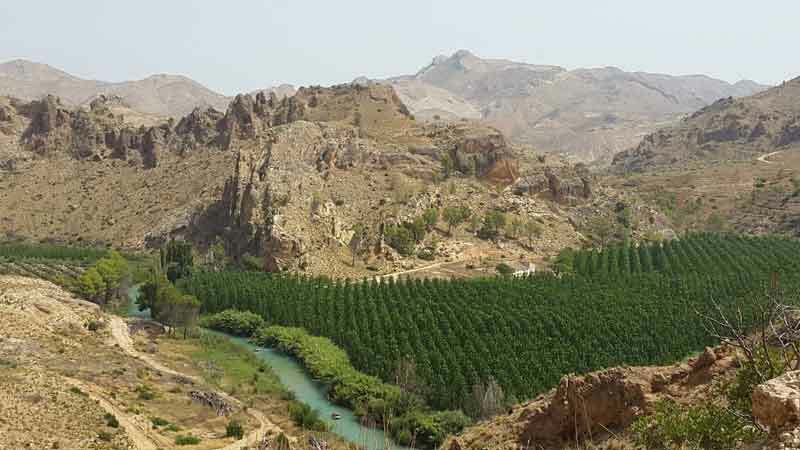 We start at 9:30 a.m. with a rich breakfast and a beautiful hiking trail of 3 kms to the beginning of the rafting, there we will begin the descent until we reach El Almazarán Bridge where we will take a spectacular rice with mushrooms and deer among other dishes to eat, we will continue until 17:30 hrs approx. with the second part of our descent to the Puente del Gallego. Enjoy the most exclusive section. INCLUDES: Necessary material, Interpretive Guides, Lunch with a drink to choose and to eat rice or grilled meat, Insurance, theoretical and practical talk, Photo Report and internal transfer. Optional HD video. Rapids, curves, obstacles, jumps and a prey. We will highlight this great tour through its rapids areas in practically all its stretch, to this we will add its closed curves and the different obstacles that we will find in its path, mainly stones and huge walls. 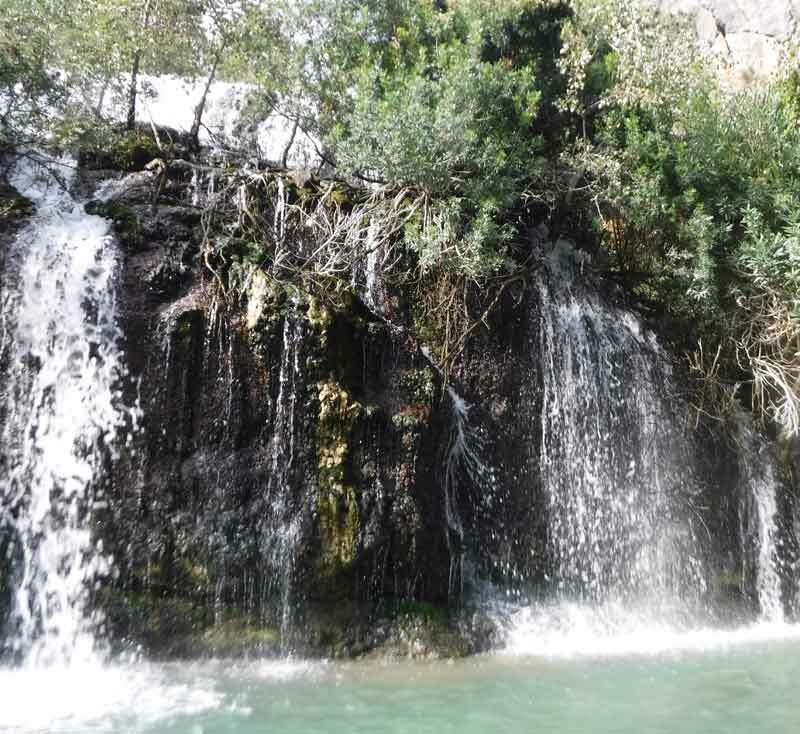 We will enjoy in several areas a nice bath and we can even go up some of its rocks to make jumps to the river. Near the end of the stretch we will find a dam that will put the icing on this spectacular stretch. The descent runs for 25 km with long stretches of river immersed in a spectacular and wild landscape away from any sign of civilization. We will find a majestic riparian forest still saved from being devoured by the reeds, walls of more than 150 meters with an infinity of caves and very curious forms, all surrounded by a spectacular flora among willows, poplars, ash and oleander among others. Being an unknown section and not previously navigated we can enjoy a wild experience. This level is suitable for all those who want to enjoy a safe section but that invites action, suitable from 6 years of age. 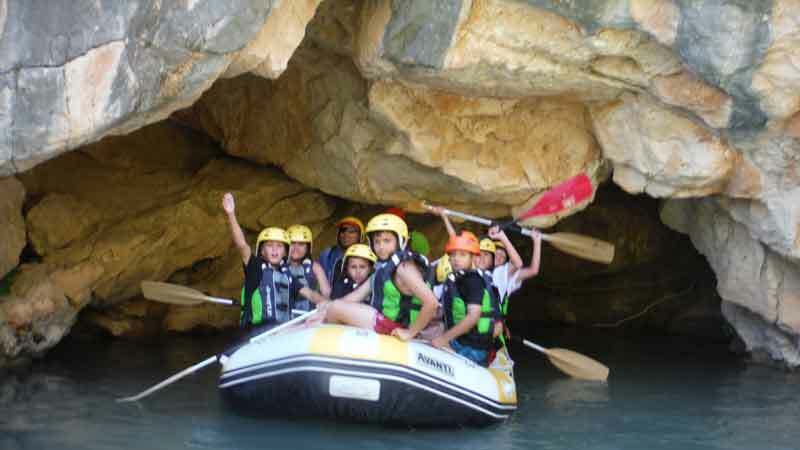 It is an ideal stretch for groups that seek more adventure and live a full day of rafting or kayaking with different stops for lunch and dinner. You will live an unforgettable day with your family, you will enjoy a pleasant adventure with friends or as a couple, we will put everything you need at your fingertips.